As I’ve mentioned before, I teach an invisible instrument. Since we can’t see it or touch it all we have to work with is language. 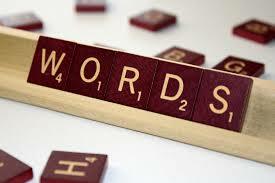 The choice of words is critical to the singers actions and understanding. My mentor taught me that if the client doesn’t understand me it is MY fault and I need to continue until they do. Fortunately for all of us, I love to talk… and talk and talk. I recently had the pleasure of teaching 2 master classes to a group of performing arts students from Charleston South Carolina. The first day we just had time for a basic vocal assessment for each singer, so a little bit of singing from them and a whole lot of talking from me. The second day I was amazed at how much they had understood and were immediately able to apply. They had no time to practice or really do any singing at all in-between classes, so it proves that you can actually think your way into a new vocal behavior. This is also one of the real benefits of a class as opposed to a private lesson. Private lessons and a concentration on technique is an essential part of the diet but at this point in my teaching career I find the class is faster for application and performance. I’ve said before that 1 session with a personal trainer can change your workouts for life because once you have some instruction and insight you can start a new program on your own. This is especially true for singing since most of us go quite some time with no training, we have many questions that need some answers. Lesson 1 is FREE! Start today.